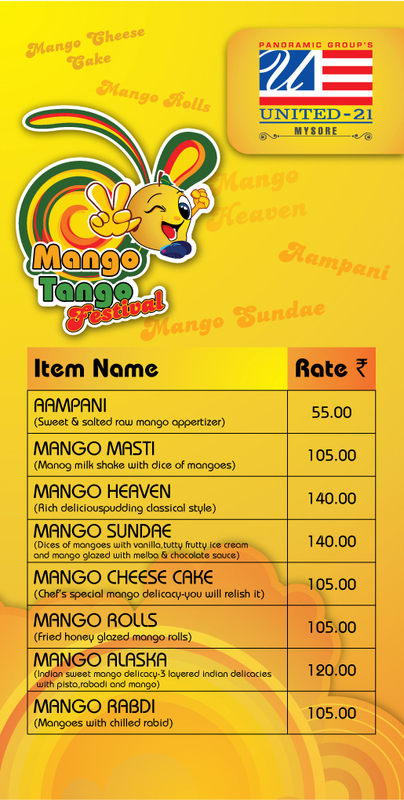 Who could ever resist the taste of the Mango and that too when it's available in abundant. 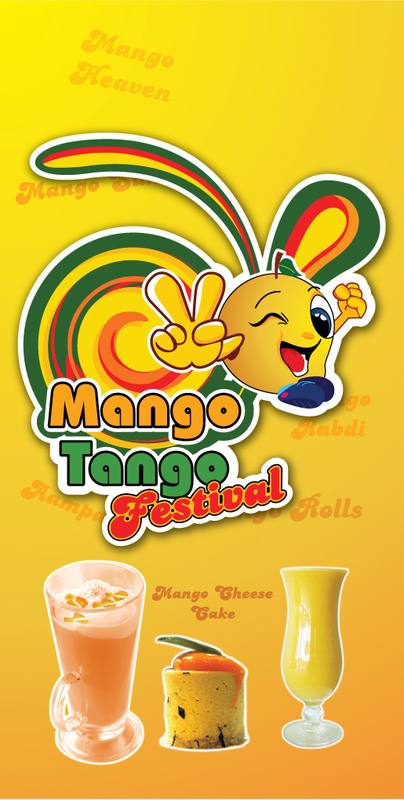 Panoramic Universal's Hotel, United-21 at Mysore has organized a Mango Tango Festival wherein customers would be treated to some luscious Mango delicacies. The festivity started from May 19th and would be conclude on July 5th. You couldn't miss these mango delicacies as it's just another month before monsoon sets in. Once monsoon begun we could be left wanting more, so it's better to catch up on this offer.